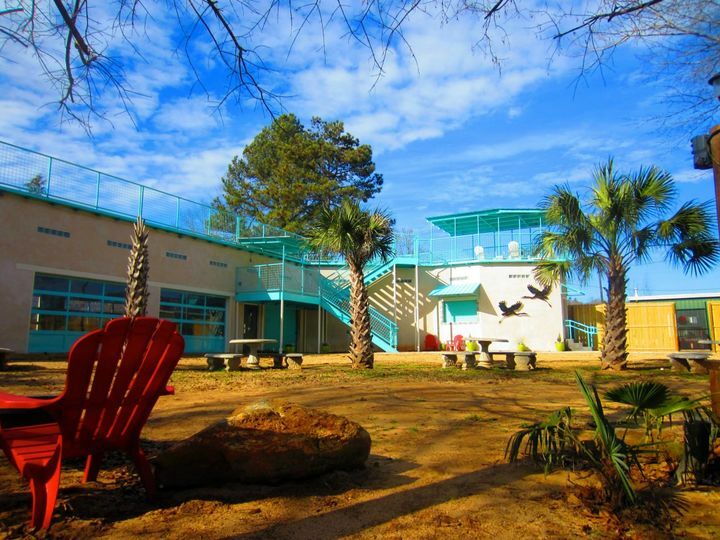 The Athens Blue Heron is a waterfront banquet hall for couples’ weddings in the greater Athens, Georgia area. 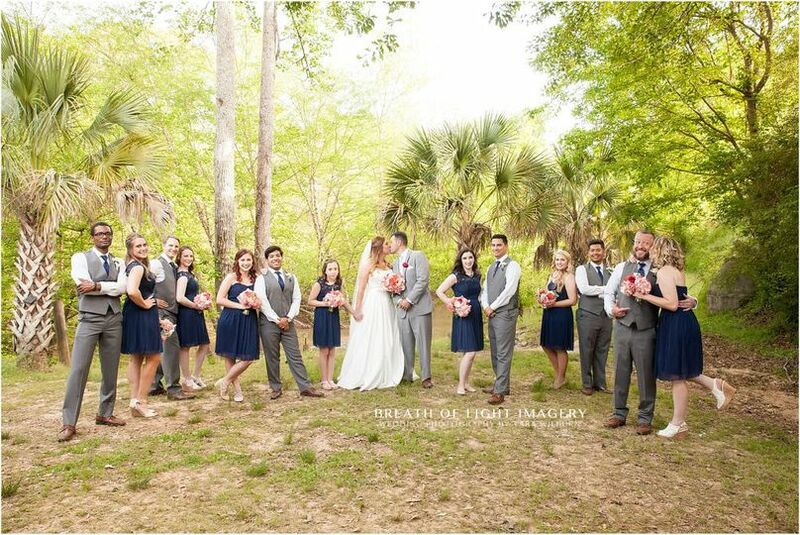 This banquet hall sits on the banks of the Middle Oconee River, giving couples the powerful and scenic view of flowing water on their wedding day. 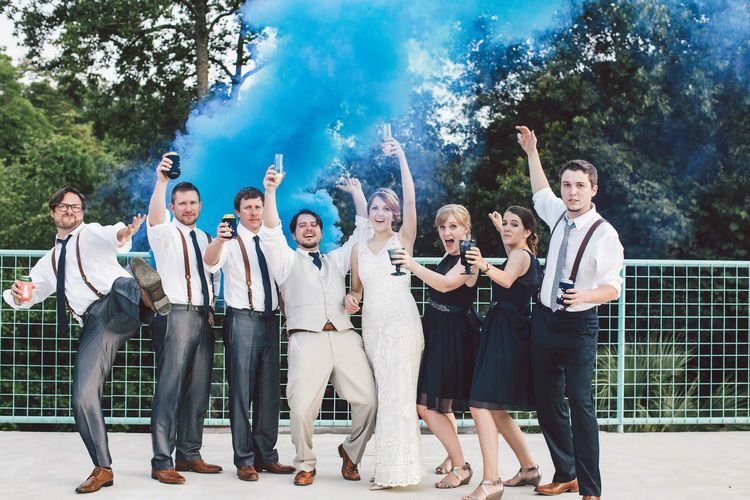 Couples will find this venue less than a 10-minute drive from the University of Georgia in Athens. 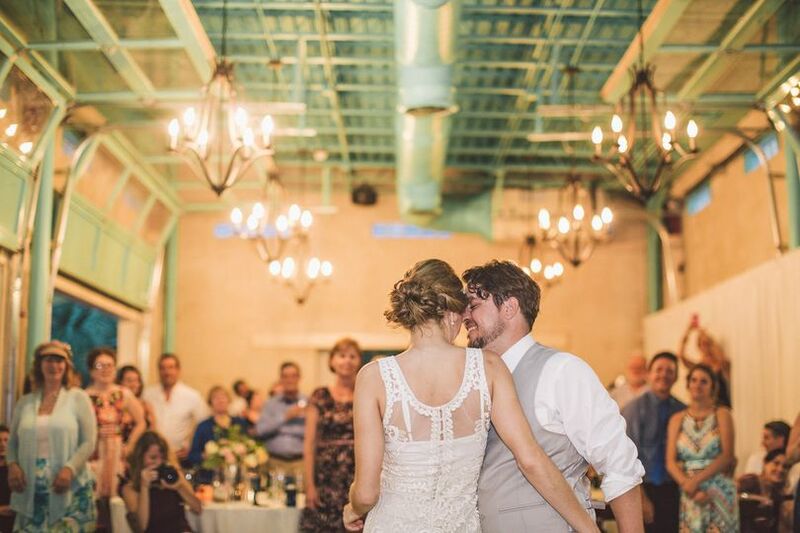 Couples can celebrate their wedding day with as many as 200 guests at the Athens Blue Heron. 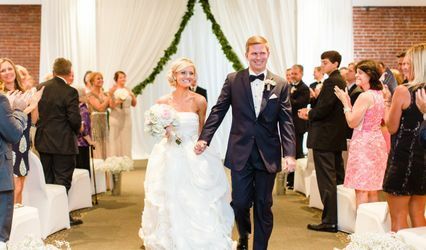 This venue offers a unique waterfront vista, for couple’s “I dos.” The banquet hall itself features a gorgeous modern color palette of Tiffany blue and off-white. Overhead chandeliers of dark metal hang from the two-story high ceiling to add to the venue’s slightly industrial element. 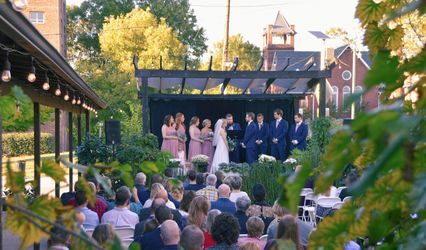 Outside of this venue couples will find a patio space, perfect for a cocktail reception or ceremony. Even an outdoor reception can be held on the patio. A window to an interior bar allows drinks to be served to guests enjoying the air right out on this patio. Modern architecture makes this building unique, and it sits on plenty of land for an outdoor celebration. 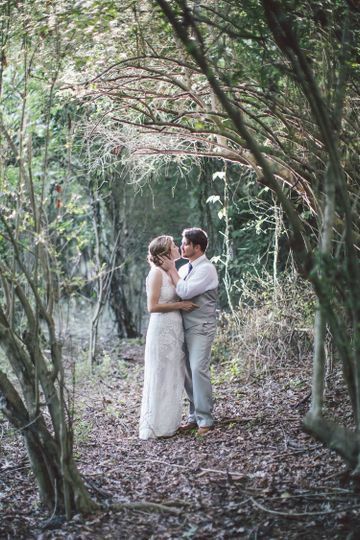 Couples can at least use the surrounding property, with its lush vegetation and proximity to the Middle Oconee River, for wedding photographs and portraits. 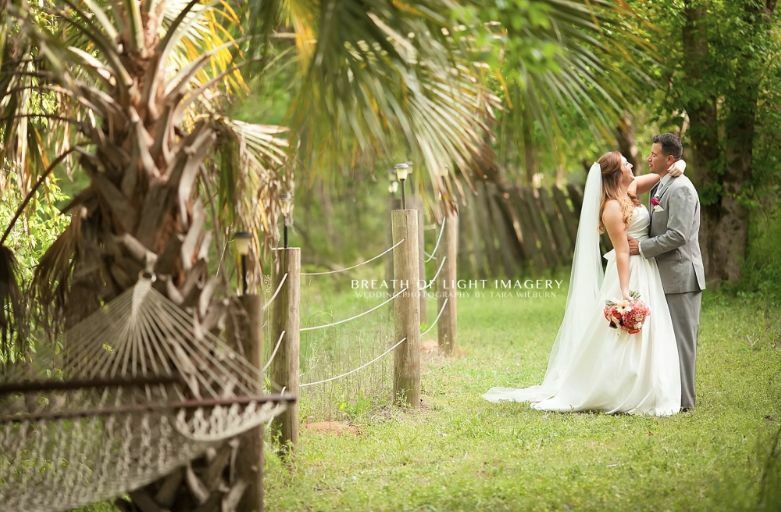 This wedding venue welcomes couples for all types of weddings and wedding related events. 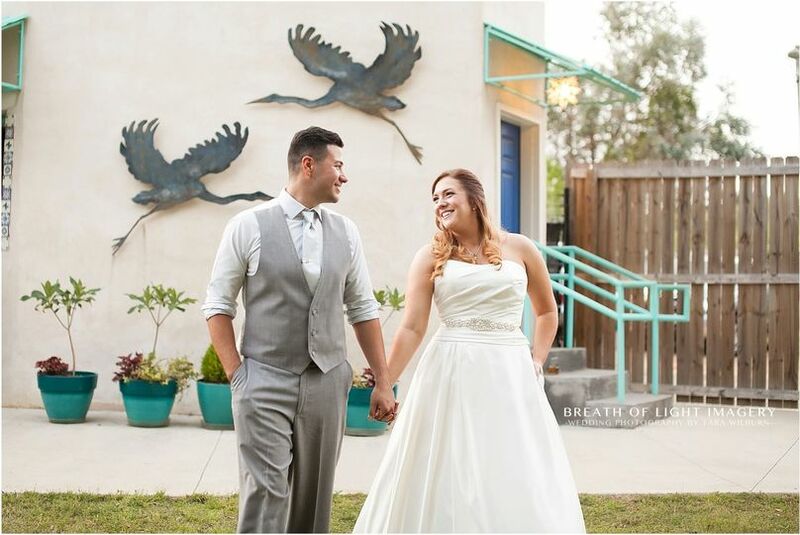 Couples can host their wedding ceremony and reception at this venue, as well as their bridal shower, engagement party, and rehearsal dinner. 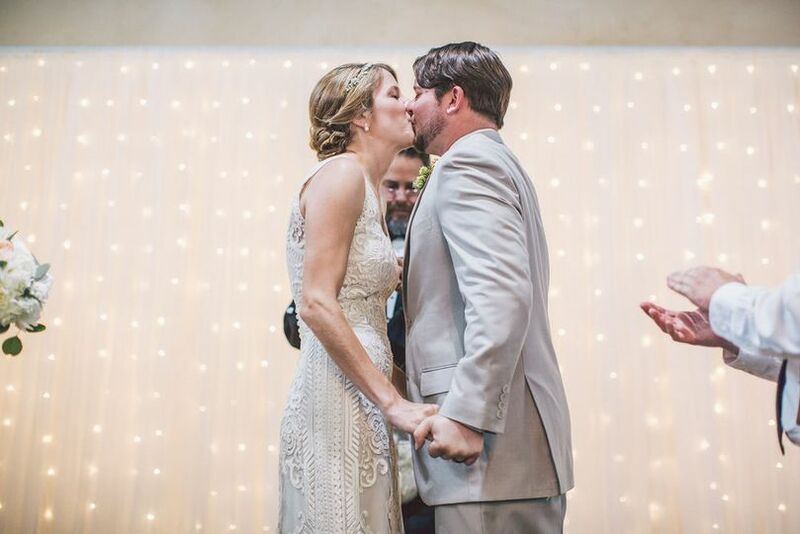 The banquet hall is even available to host elopements. The Athens Blue Heron offers getting ready rooms where couples can enjoy privacy and peace of mind whilst they prepare for their wedding. There are lighting and sound services offered through this banquet hall, as well as shuttle service. Guests driving to the venue will have the option of onsite parking or valet parking. 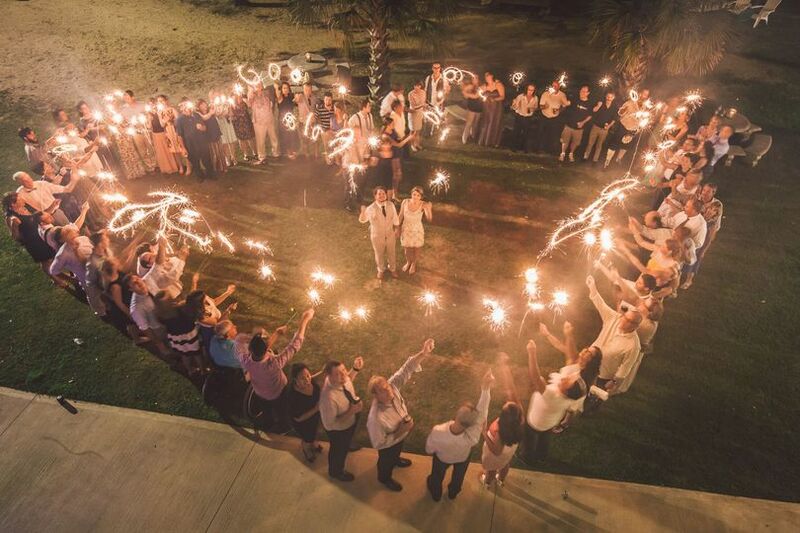 Couples may choose to use outside vendors for their wedding event.